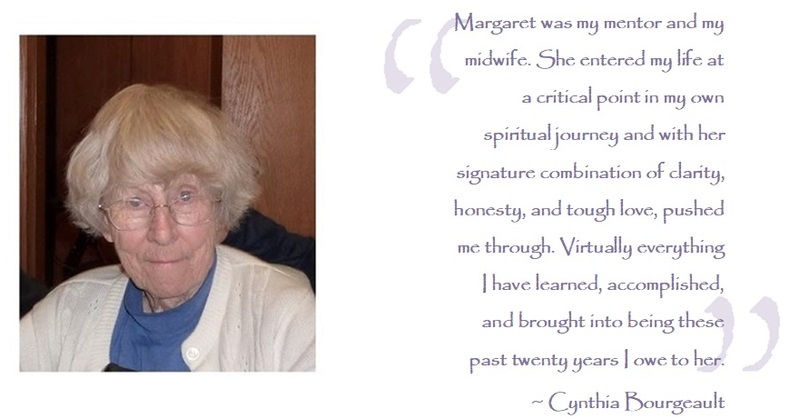 Margaret Haines, founding president of The Contemplative Society, was also a dear friend of Cynthia Bourgeault’s. Margaret planted the seed that would grow and flourish into a 20-year relationship between Cynthia and TCS. That relationship has helped encourage contemplatives from all walks of life and from all over the world: from offering fledgling contemplatives their first opportunities to practice, to nurturing young teachers into capable bearers of this long tradition, Margaret Haines’ impact on The Contemplative Society and the contemplative community as a whole is a powerful legacy. To honour her gift to the world and to celebrate our 20th anniversary, we have established a scholarship fund in her name to ensure TCS’ contemplative learning and practice opportunities become more accessible to all and to attract future contemplatives. Margaret Haines was born on March 23, 1925 in London, England. She died on Salt Spring Island, BC, Canada 86 years later ,nearly 8,000 km from her birth place. In between, she married, raised three children, gave endless hours to numerous volunteer endeavours, and nurtured her own deep and rich inner spiritual life. One of Margaret’s enormous contributions to the work of the Spirit was as the founding president of The Contemplative Society. Her visionary leadership was instrumental in bringing Cynthia Bourgeault to Canada and supporting Cynthia’s ministry as it expanded from the seed planted on Salt Spring Island to have an international impact in the world of Christian contemplative practice. Support our special Margaret Haines Scholarship Fund to ensure people with financial constraints have access to contemplative events that nurture their practice. Would you like to apply this donation to membership? Our annual membership is available with a donation of any amount. Would you like to join our Members mailing list? Check if you want to join our mailing list. We will occasionally send you Members-specific updates, including exclusive benefits, related to The Contemplative Society and Cynthia Bourgeault. After you click "Submit", you will be redirected to PayPal. Please log in, or choose the option to complete your donation without a PayPal account (for one-time gifts). Thank you! We can also gratefully accept donations through our Membership and Donation form. Please make cheques payable to The Contemplative Society. We appreciate the opportunity to interact with you via email, and are committed to protecting and safeguarding your privacy. We will never share or use a recipient’s email address without express permission.